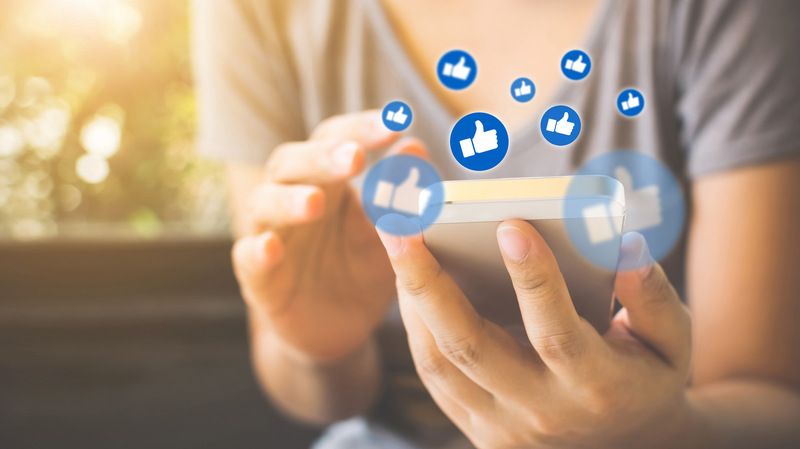 When it comes to modern selling, the only way to do it is “smart.” That entails using all of the social data within your grasp as a tool to sell. Consumers don’t need much assistance these days. They know what they want. In fact, by 2021, global retail eCommerce sales will reach $4.5 trillion. That shows you that the drive is there, sometimes people just need a little guidance. Social media is the water cooler of the office. It’s the mall for teens, it’s church for some. It’s an all-encompassing platform in which you can mine endless data about your audience—and they give it freely. In 2018, over 2 million businesses were using Facebook for advertising, and the number continues to increase. Basically, if people are “bouncing” away from your content, rest assured sales will suffer. On the distraction-rich internet, bounce rates are already expected to be rather high but if you see yours increasing, it’s a surefire sign that your content or SEO could be lacking. When consumers don’t find the right product info, sales will never get a chance to sell. Thus, it’s important to monitor this metric and make immediate changes if it starts to increase. However, if your bounce rate is high but so is your traffic, this is not necessarily a bad thing. It means people are curious and it subsequently drives brand awareness. It’s important to monitor how often people are “clicking through” to the links posted. The more people click-through your content, the more indicative it is they are interested. 47% of buyers view at least 3 to 5 pieces of content before deciding to speak with a sales rep. So, if you have repeat visitors clicking through, it’s a good time for sales to step in. The click-through rate (CTR) is an important metric in PPC (pay-per-click) advertising as well. Clearly, the campaigns that are doing the best are the one getting clicked the most. Sales can follow up with consumers from these social campaigns as well. Did you know that content marketing gets three times more leads than paid search advertising? Engagement is an important metric for sales to track for a variety of reasons. It’s related to the audience growth rate and basically demonstrates how interesting your content is. This can indicate how much effort the sales team will have to put into gaining new leads. If people are fully engaged with the material, this won’t be a tough task. Monitoring the engagement rate allows sales to keep a pulse on their network. Comparing the average engagement rate against your overall follower base will make lead scoring much easier. It will guide sales in the direction of the people who are truly interested. This saves time and money as sales no longer has to chase people that have little to no interest. Another core metric that is essential for sales is reach. What is your total amount of followers and who is really seeing your stuff? Reach directly relates to sales because it equates to a lead list. These are the people you can possibly reach out to who are familiar with your brand. Reach allows you to directly connect your social media efforts (and data) with business profits. Your audience growth rate will show you who your new followers are over a percentage of time. The faster your audience grows, the more momentum your brand has on social media. When sales can take advantage of these trends, it inevitably leads to a spike in conversions. Reach also allows sales to track efforts over time. They can compare baseline campaigns with ones they are using today to establish where labor is most valid. Which sales events match with the highest growth rate? Rinse and repeat. In the digital landscape, acquisition is more about your frequency of visitors, than it is about making the actual sale. Your largest acquisitions will no doubt be coming from a Google search, but social media often has the most amount of return visits. The visitor frequency rate is critical for acquisitions. It allows you to effectively target new and returning visitors to establish the correct content. The higher the visitor frequency rate, the higher the CTR. It parses visitors into “new” and “return,” segmenting people so sales can sell them in the best possible manner. The more return visitors you have, the more it indicates a rate of high engagement and reach that sales can use to their benefit. The higher these numbers are, the more they accurately depict actual growth. The cost of acquiring a new customer is important data for sales teams. It doesn’t matter how much you sell if it costs twice as much to gain a lead. Tracking the customer acquisition cost (CAC) at all times means it’s easier for sales to expand their customer base when the time comes. It allows for elevated strategic planning when pursuing new customers. If diligent about watching the CAC, sales will be able to scale quicker and demonstrate to investors the value of the business. CAC equates to (Money + Time Spent) / Number of Customers Acquired. Knowing and understanding this data makes it easier for sales teams to market efforts and establish a solid ROI. Minimizing CAC will always maximize profits, adding value to the company and incentivizing sales departments. Did you know that only 22% of businesses are satisfied with their conversion rates? That’s not a very high number, so what’s going wrong? Assisted social conversions are simply difficult to track. Beyond getting traffic to your site and having people return, what exactly constitutes a “conversion?” At what point do people cross over from curious to purchasing? Every company is different, but it is important for sales teams to have clearly defined goals on what exactly a conversion means. For some, it’s receiving a lead’s contact information, for others, it’s the sale itself. Set the finish line before you start the race and you’ll always know whether you’re winning or not. Determining the value of your efforts in the social arena is vital to saving on labor costs. By establishing key performance indicators (KPIs) you can follow referrals from social channels and track conversions over time. In social media, conversions take time. Don’t be surprised if a potential lead revisits your brand several times before making a purchase. It is simply the nature of ecommerce. Lastly, if you pair your social conversions with data like “last clicked” or “last visited” the metric should tell you where your audience resides. Sales should immediately know which platform is the most popular for customers, so they can strategize. It’s one thing if people hang out on LinkedIn. It’s an entirely different ballgame if they’re congregating on Instagram. Knowing is half the battle for increasing conversions. 59% of Americans believe that customer service through social media has made it easier to get their questions answered and issues resolved. How does sales connect social media activity with profits? One way is to study the value of a person that poses as a customer for life. Hint: it isn’t limited to just the size of their initial purchase. The customer lifetime value should be measured at regular intervals to study how it changes over time. The easiest way to obtain this figure is by multiplying the amount of revenue earned from the consumer by the amount of years they have been a customer. Then subtract any customer acquisition costs. This should give you a figure that closely denotes the value of that customer in relation to everyone else. CLV is a good figure to guide sales on the leads that are the warmest. It will also help direct teams on where to focus retention efforts. Smart selling is about understanding customers from the inside out. It’s almost mind reading when done right. There is great value in deeply understanding a customer’s pain points and delivering. The better a team is at smart selling; the more opportunities arise. In addition to understanding customers, social metrics can drive growth, feed progressive analytics, and stimulate actionable sales relationships. It’s about better understanding people, and when it comes to sales, this can only be a good thing.